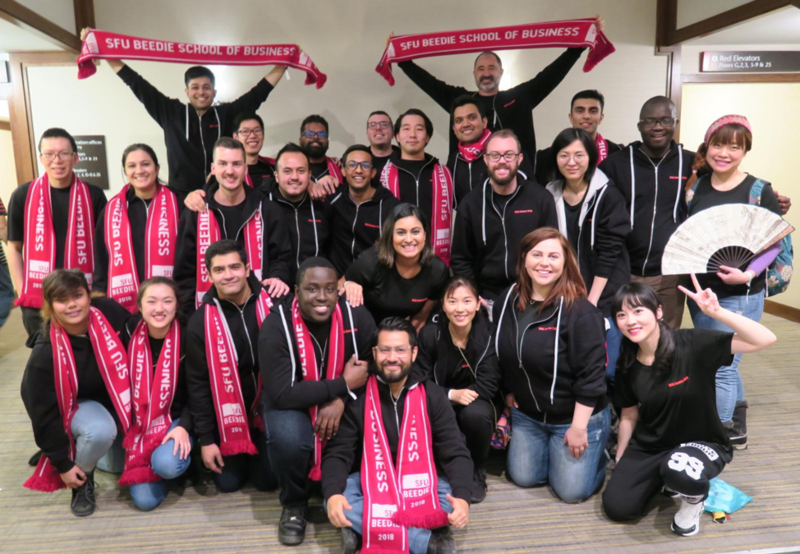 The 2019 SFU Beedie MBA Games team! When I say Simon, you say Fraser!!! The chants of the SFU Beedie team boomed throughout the competition venues, letting everyone know that we were here to win. What competitions, you ask? That would be the BC MBA Games, hosted by the UBC Sauder School of Business and the national MBA Games, hosted by the Ryerson University Ted Rogers School of Business. A competition based on the concept of the national MBA Games, but scaled down to the province of British Columbia. The top five business schools in B.C. competed for glory in academic, athletic, and spirit contests. Hosted by UBC in October 2018, this was an amazing opportunity to meet and network with business students from other schools in the region and a positive learning experience for us all. Kicking off with a Rap Battle created by each business school, the two-day BC MBA Games was a great experience for everyone on our SFU Beedie team. Most of us initially thought of this as a training ground for the national MBA Games but soon realized that the level of competition at the provincial level is not to be taken lightly, with each team arriving with the intention to win. Our sports teams did us proud by putting their bodies on the line and playing their hearts out in each game of volleyball and dodgeball. The spirit event was a unique and fun competition involving a business simulation. And then the academic cases, with three teams participating in three different case styles: a 3-hour case crack with a focus on Indigenous businesses in B.C., a 24-hour case prep in partnership with the Vancouver Aquarium, and a Pecha Kucha competition focusing on ocean sustainability. All three case teams put in a commendable performance over the two competition days but one, in particular, stood out – our team for the 3-hour Indigenous case who secured the winning spot after giving a fantastic presentation. Kudos to the winning team of Manraj, Keegan, Matthew and Jose! 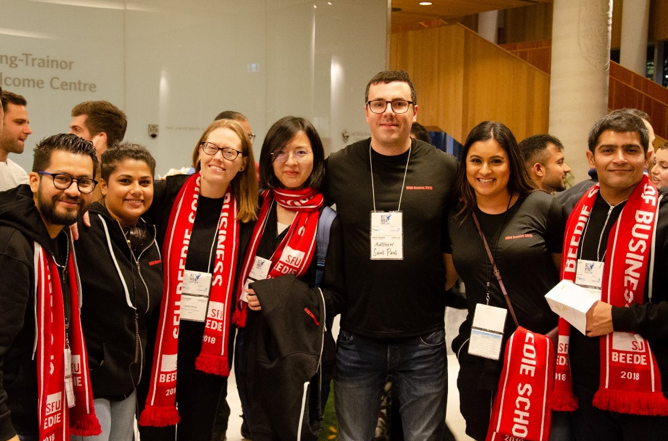 After our fantastic experience at the BC MBA Games in October, we immediately started preparing for the national MBA Games set to take place in January 2019. We planned and hosted a few events to help with our team fundraising goals, and SFU Beedie ended up securing a 2nd place finish in fundraising overall! The national MBA Games kicked off on the 7th of January at Ryerson University in Toronto. Opening night saw 20 business schools battle it out on stage by putting their dancing skills to the test. Weeks of rehearsals and preparation saw us present a fabulous dance performance highlighting the core theme of the games – “Diversity and Inclusion”. Over the chilly weekend of MBA Games, we took part in multiple events from academic cases to unique team challenges to truly exhilarating sporting events such as Broomball. 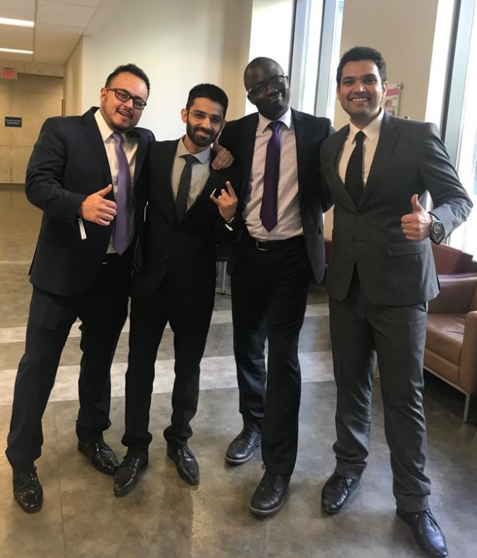 With a much larger scope than the BC MBA Games, we expected the intensity of the competition to be much greater as well, and we were not disappointed. Each school came out with guns blazing and everyone performed to their absolute best – and that’s what made this such a great event. 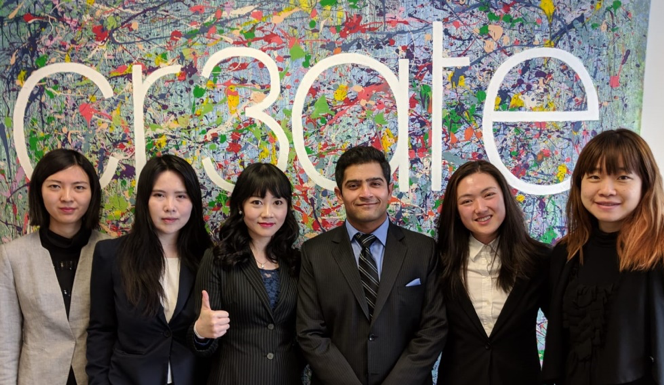 SFU Beedie MBA Games spirit team – getting creative with consulting! Even though we didn’t travel with a full squad of 40 (we were 32), we made sure we participated in each and every event, with almost all of us taking part in multiple events over the weekend. The sports teams competed across four different sporting events including as basketball, broomball, volleyball and for the first time ever at the MBA Games – E-sports. The e-sports tournament involved teams competing in the video game of FIFA ’19 was an extremely entertaining affair, with our team reaching the quarter-finals with a strong performance. 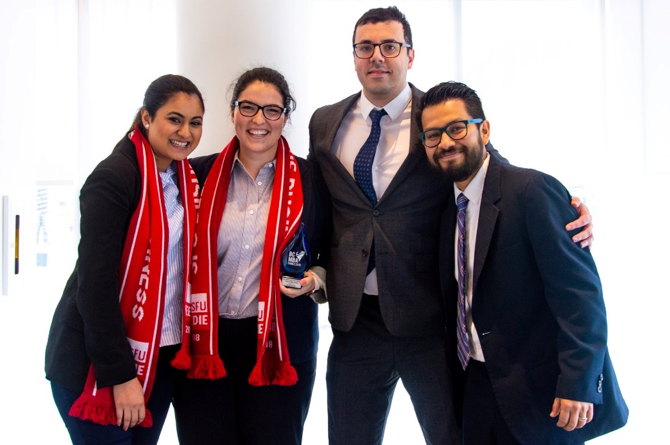 The academic case competitions had four different events, with teams competing in Finance, Technology, Marketing, and Business Strategy cases. I myself was a part of the Marketing Case team, and we performed admirably and advanced to the finals to secure a top 4 finish. SFU Beedie Finance case team feeling good about their presentation! SFU Beedie had a really strong showing at the MBA Games and wrapped up the weekend by finishing 6th place overall – leaving many teams behind who had individual event wins. This just goes to show what a well-balanced and multi-talented team we had. This was an unforgettable weekend where we supported each other as a family, showed great school spirit, and had an amazing experience networking with and learning from nearly 500 other students from 20 of the top business schools across the country. Arjun Batta is an SFU Beedie MBA candidate in the full-time program and the 2018-2019 Team Captain for the SFU Beedie BC MBA Games and national MBA Games. Arjun is also a current Beedie Ambassador. 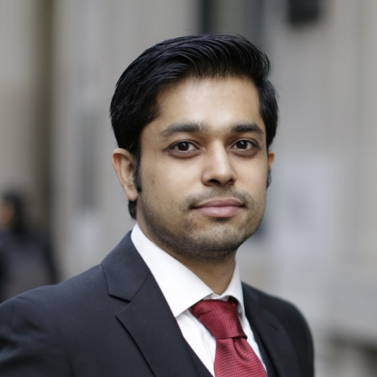 You can connect with Arjun on LinkedIn here.